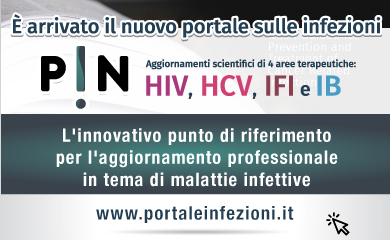 Verduci International LLC and Infectious Diseases and Tropical Medicine (Infect Dis Trop Med) recognize the importance of protecting the information collected from Users in the operation of this website, and take reasonable steps to maintain the security, integrity and privacy of any information in accordance with this Privacy and Data Protection Policy. By submitting your information to Infect Dis Trop Med you consent to the practices described herein. Verduci International LLC will ensure that any identifiable personal information it collects through, for example, the registration and purchasing processes, will be adequate, relevant and not excessive for purposes of operating this website or any of the services operated hereunder, it will be kept accurate and up-to-date based on information provided and it will be deleted when no longer needed. Except where necessary in connection with services provided by appropriate intermediaries, who will be required to comply with the confidentiality provisions of this policy, Verduci International LLC will not disclose any personal information identifying Users to any third party. If use of an electronic product, feature or service offered by Verduci International LLC on this website requires a User to provide a name and password or other personally identifiable information, the User will have the option to opt in or out of providing such information and using the product, feature or service. Verduci International LLC may disclose to carefully chosen third parties navigational and transactional information in the form of anonymous, aggregate usage statistics (including “page views” on this website and the products herein) and demographics but only in forms that do not reveal a User’s identity or confidential information, except as required by law, as needed in connection with legal proceedings, or unless we have received your consent. You should be aware that identifiable personal information – such as your name or e-mail address – that you voluntarily disclose that are accessible to other Users (e.g. on bulletin boards or in chat areas) could be collected and disclosed by others. Verduci International LLC cannot take any responsibility for such collection and disclosure. Please note that Verduci International LLC Privacy and Data Protection Policy is reviewed periodically. Verduci International LLC reserves the right to modify its Privacy and Data Protection Policy at any time without notice. Any changes to the policy will be posted on this page. Your continued use of this website will be deemed conclusive acceptance of such modification. Any comments or questions concerning this policy should be addressed to info@publishingmanager.org (the e-mail address of Verduci International LLC). If at any point you wish to access your personal information to (1) change your preferences, (2) review the accuracy, or (3) correct, supplement or modify your information, you may either send an e-mail to the address set forth above, make in a written request to info@publishingmanager.org (the e-mail address of Verduci International LLC).